The holiday season is a time for families to come together and share meals. But often, these comfort foods are not made from ingredients that are good for you. 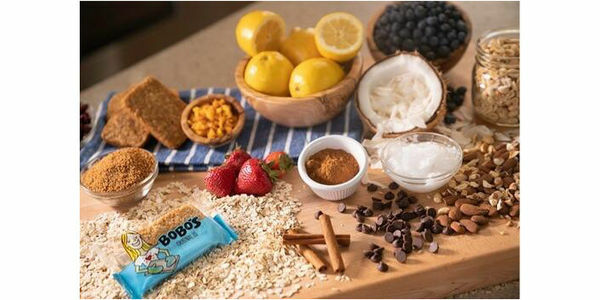 At Bobo's bakery, we started baking homemade oat bars for our family as a mother-daughter tradition in 2003. Today, we continue to bake the same bar, using the same recipe, the same pan, in the same small-batches, and with the same simple wholesome ingredients you can find in your kitchen. Our products are vegan, gluten-free, certified non-GMO, soy free, kosher, and made from 100% organic whole grains. All without boring the daylights out of your taste buds! And Bobo's is here to make it easier for you during the holidays. Our tasty treats are more than just a snack - they work great as a granola topping to your yogurt, a delicious pie crust or even s'mores... the sky's the limit! What are you waiting for? Pledge to fill your holiday season with healthy comfort foods. And when you join the Bobo's family, we will send you recipes, special deals and discounts that will help you keep your pledge.